It’s going to be a big year for McGinley. McIlroy on the third tee box during the second round of the British Open Golf Championship at Muirfield in July. PAUL MCGINLEY GOES into 2014, knowing it’ll be one of the biggest years of his golf career. The Dublin man will lead the European team as they attempt to defend the Ryder Cup title they won dramatically in Chicago in 2012. And McGinley will realise that he’ll need former world No 1, Rory McIlroy, to re-find some of that major-winning form if the Americans are to be held off in Gleneagles in September. “As much as Rory is my friend and I know him, I wouldn’t say I know him particularly well, I know him reasonably well,” McGinley tells Nathan Murphy in Today FM Sport’s end-of-year review show, which airs this week. McGinley, a keen Dublin football fan, also reveals he invited US skipper Tom Watson to Croke Park last September for the championship finale against Mayo. “I went to the All-Ireland football final this year and I invited Tom to come along, but he couldn’t quite make it,” he says. “When I arrived in Edinburgh that night, I met up with him and he knew all about the match. He’d followed it on the internet, he knew who’d won, he was interested to know about the game. Today’s FM’s review show will air between 6pm and 7pm on both 26 and 27 of December. 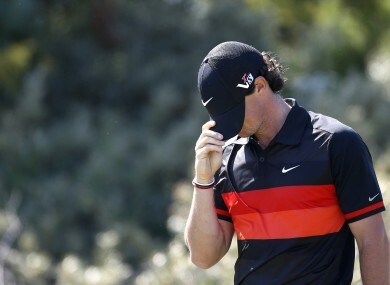 Email “'It’s not for me to tell him what to do' -- Ryder Cup skipper backs Rory McIlroy to work through form problems”. Feedback on “'It’s not for me to tell him what to do' -- Ryder Cup skipper backs Rory McIlroy to work through form problems”.